How can we use Carol A. Briney at our next event? Will Carol’s program be customized? Carol does this with questionnaires and telephone interviews with attendees as well as meeting planners. Why should you book Carol? As a professional speaker, Carol brings over 30 years of successful business and corporate experience to the platform. Carol Briney is an experienced, dynamic speaker: her upbeat, direct, fun loving and sometimes-irreverent approach inspires audiences. Her lively presentations and practical solutions make an impact that empowers her audience to see their challenges and create solutions. Her programs will not only leave the audience thinking about the possibilities they hold inside but actually challenge them to bring out their personal best. What sets Carol apart from other speakers? Carol A. Briney is a rare blend of speaker. She has the ability to touch on sensitive topics with humor and love. 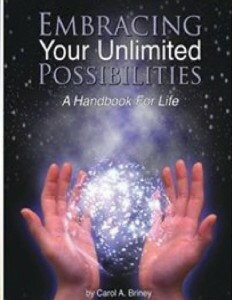 She can speak directly to the challenge while touching your very soul with her heart felt words of wisdom. Carol has the unique ability to make each person in the audience think that she is speaking directly to him or her. Carol believes that all people have the power to design a life of their choosing, the power to lead, and the power to know without a doubt that they are on this earth to make a difference. Carol teaches her audiences how to shake off mediocrity and live up to their personal greatness. Contact our office to discuss what your groups needs. Carol will structure a keynote or seminar that is both heart-centered and grounded as well as suited to your particular audience and time frame. 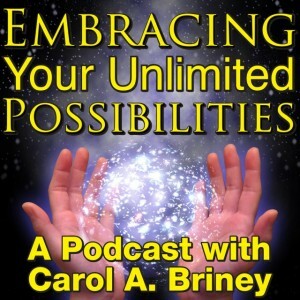 Carol A. Briney is an Inspirational Speaker, Author, Trainer, #1-Rated Podcast Host, and The CEO of Unlimited Possibilities at Carol A Briney International. She joyfully resides in Pittsburgh, Pa.